Hi y'all! It 's Day FOUR of Minnie Week! YAAAAAAAAY! This craft was so simple, the kids did it themselves during the party! Minnie Headband Tutorial on Friday! Isn't my sweet Wunkie Princess so GORGEOUS!? I blurred/cropped out the other girls out of respect for their privacy! 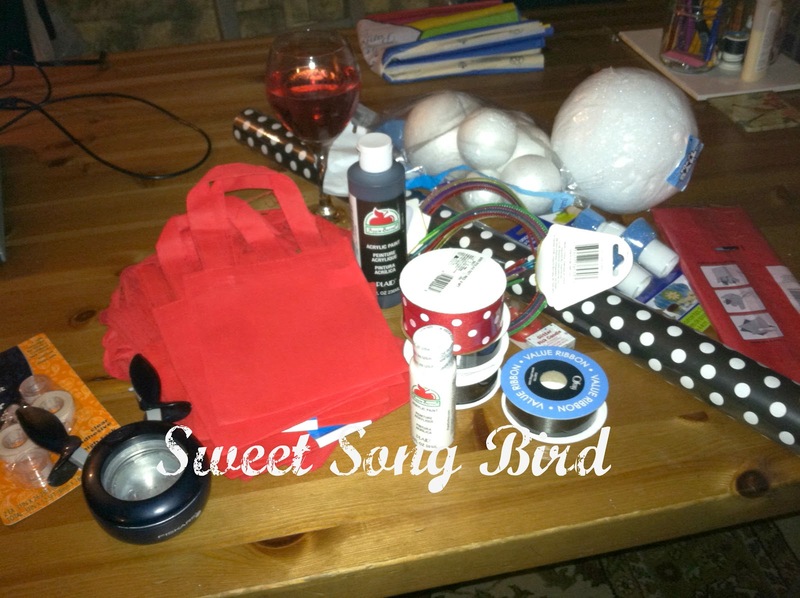 Here is what my table looked like one night while working on her party! 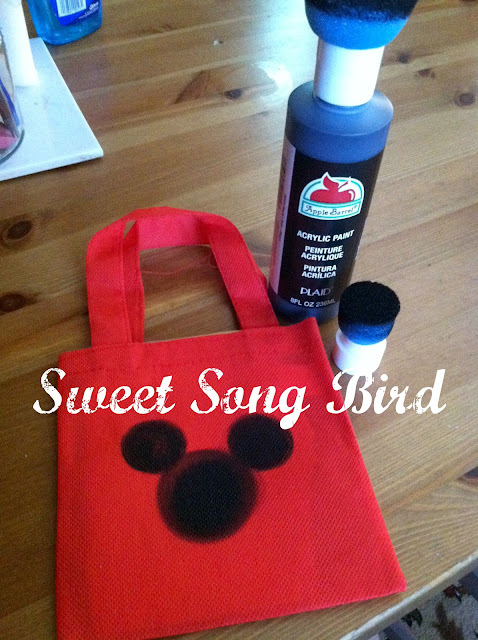 All I used were this sweet totes I found at Walmart, a pack of three for $1, some black acrylic paint, and these really nifty sponge tops, attached them to my acrylic paint bottle and made sure the paint was freely flowing and thoroughly spread out on the sponge tip and dot one large circle (use the larger topper),then two dots (smaller topper) for the ears. To make this Minnie, simply glue a small red bow on top of the head. Please note: to avoid the paint from bleeding through to the other side of the bag, place a small piece or cardboard inside the bag. I'm having so much fun sharing my daughter's Minnie party with you guys! 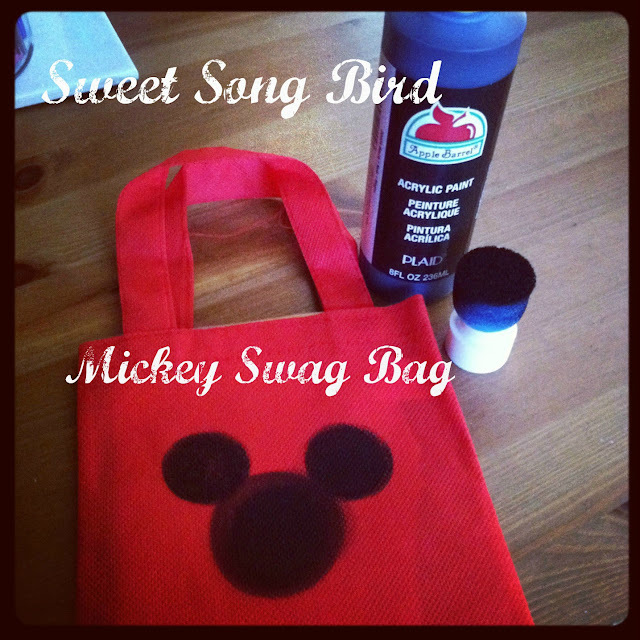 Leave me some comments if and let me know if you are enjoying Minnie Week as much as I am!